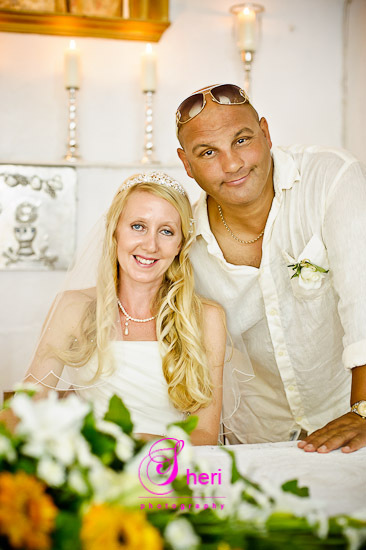 Saturday 11th June 2011 was an extremely busy day for the Wedding team at Rebate. 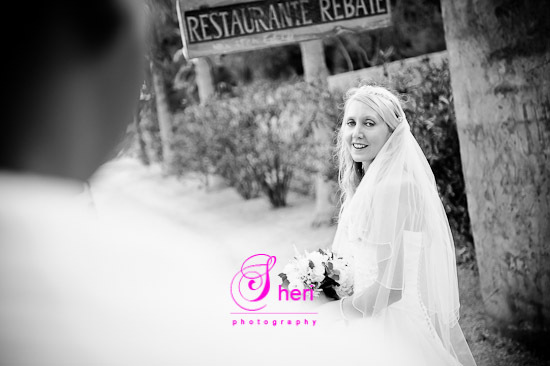 At 6.30pm the wedding of Carrie and Dean from Pilar de Horadada was held. 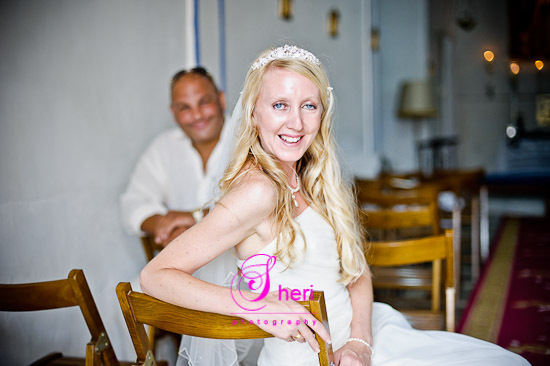 Carrie our bride looked amazing with a soft cream wedding dress and veil. With her beautiful face, long blonde hair and slender figure she looked stunning. She carried a bouquet of white peonies and white roses, and she looked like an angel in the sunshine. Dean wore white linen trousers and shirt. The church was adorned with flowers in ivory and gold and smelt heavenly. The service was performed by Reverend Eddie Martens, which was special and meaningful. They left the church for the top dining room and enjoyed canapés and cava outside on the terrace . The tribute band “Showaddy “ played to the small hours of the morning, and the guests and bridal party, boogie all night long.